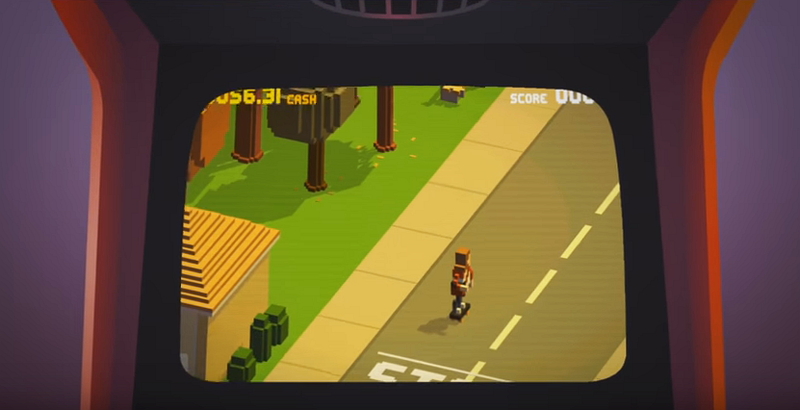 Indie Retro News: The Videokid - Skateboarding mixes it up with Paperboy shown in new teaser footage! The Videokid - Skateboarding mixes it up with Paperboy shown in new teaser footage! What do you get if you have the original Paperboy, replace his newspapers with video tapes and change his bike to a skateboard? Most likely this game, ' The Videokid ', which is being developed by Pixel Trip Studios and could be released this year. From what I can tell from the game as it's only just been teased recently with gameplay footage, you play as the videokid and must skate through towns and other areas, while chucking video tapes at people and or houses for an ever increasing score. The graphics are voxel based, with a lot of attention to detail and the charm of the 80s classics! So far we don't have a release date nor the platforms it will be available for, but according to the developers that announcement will be coming soon.